Kanye West killed it at Coachella this weekend, and in addition to bringing out the Air Yeezy 2, he rocked his now signature all-red everything steez on stage. ‘Ye started with the all-red in 2008, and while we haven’t seen him try it in the street yet, he’s been ruling the stage in red suits ever since MBDTF came out. 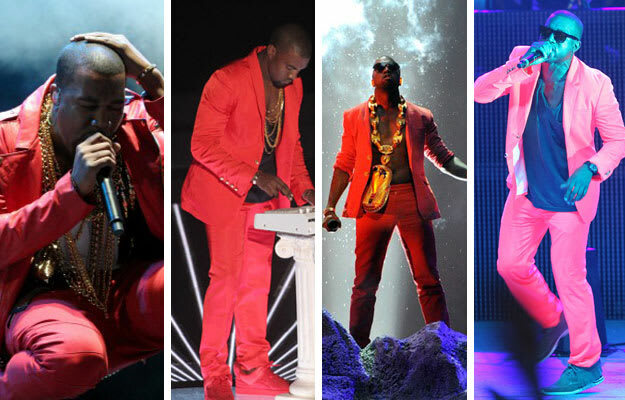 Check out our gallery All-Red Everything: A History of Kanye’s All-Red Outfits by clicking on the thumbnails above.